My daughter came home from school the other day with the assignment that she had to prepare an unusual food from around the globe. After we discussed making silkworm larvae, guinea pig, alpaca and cobra snake, we finally settled on feeding her class squid sushi. In order to accomplish this feat, we had to do a lot of homework, and I would love to tell you about what we learned and offer you some recipes so that you can try it in your own home soon. 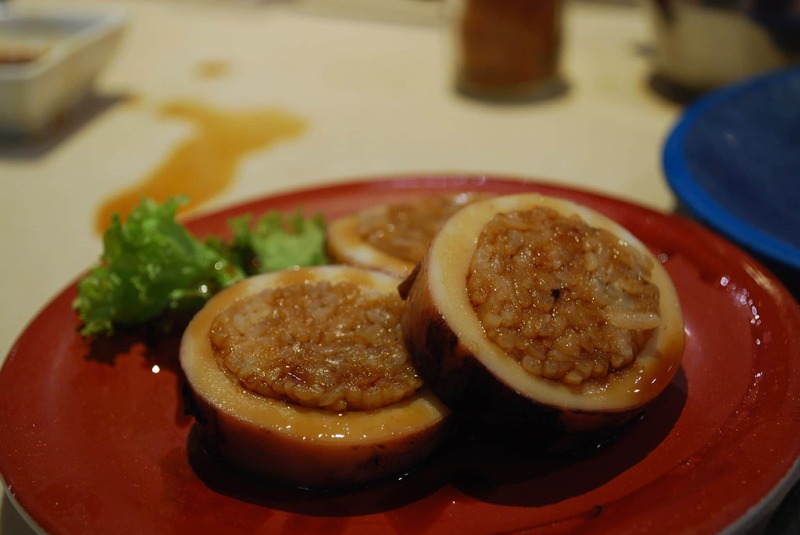 In the United States, ika is better known as squid. 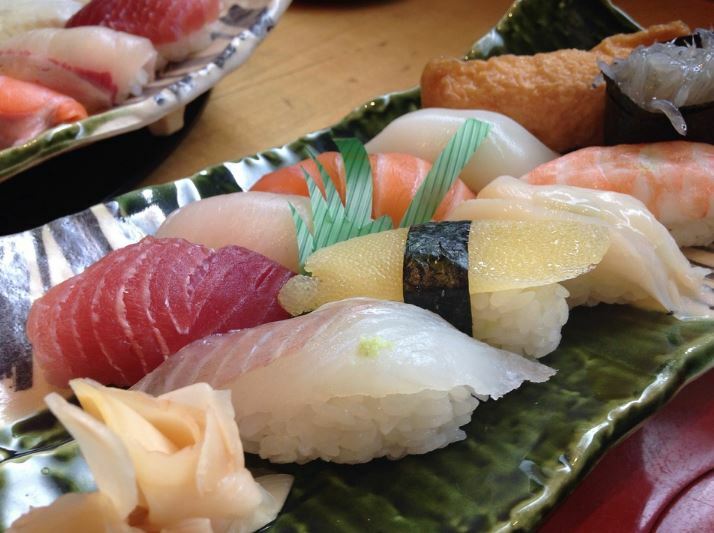 It is often prepared with aori ika that is only available seasonally in Japan. They are mainly caught along the southern shores of Japan during the summer and the early autumn. The rarity of this squid that is usually caught with trawling nets makes them a delicacy, and they usually bring a high price at market. While they are sometimes mixed in with noodles, the most popular way they are served at luxurious Japanese restaurants is ida sushi nigiri. If you are among the uneducated like I was, squid sushi nigiri is made by forming a rice ball and placing the squid on top of it. Before we get too far ahead in our story, my daughter and I decided that we needed to learn more about ika squid. There are over 400 types of ika in the ocean’s waters. Over 100 of them are found living near Japan’s shores. 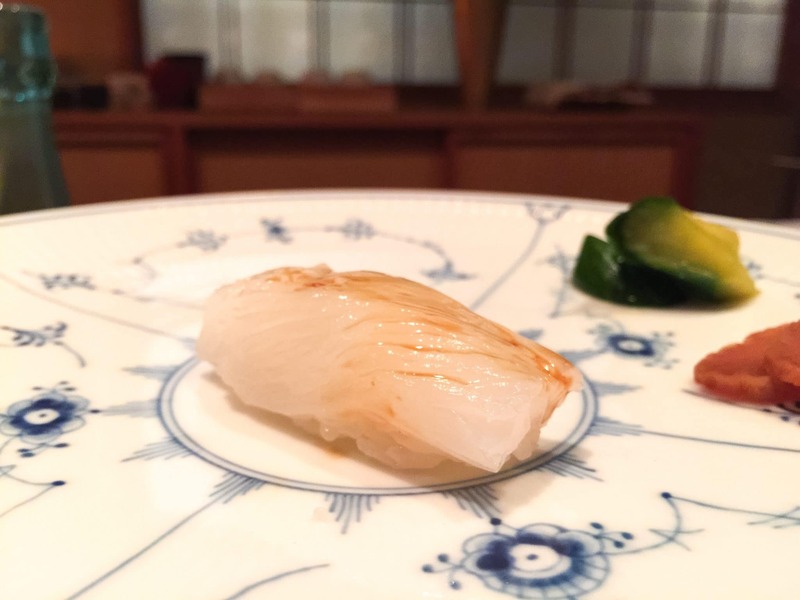 Most chefs consider the aori ika to be the best because of their sweet flavor. These squids that often measure up to 13 inches long often weigh between two and five pounds. The aori ika often reaches over a pound in just four months. Left uncaught the average aori ika dies in about 11 months. 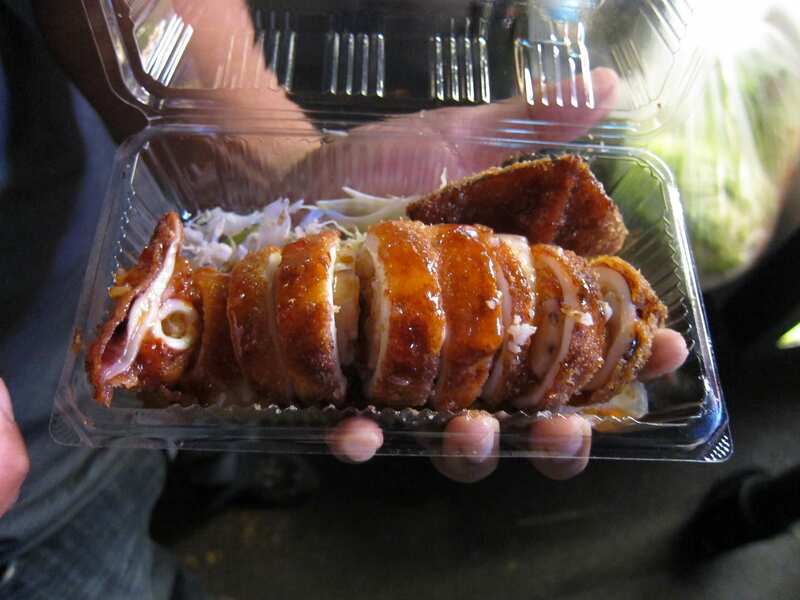 There are many different ways to eat aori ika, but one of the most unusual is dancing squid sushi. With this dish, a live squid is first beheaded before it is served on top of a bowl of rice and accompanied by salmon eggs. As the diner pours on soy sauce, the squid appears to dance in his bowl on top of the rice. My daughter and I were totally grossed out by the sight of the beheaded squid, so we decided to move on to find a recipe that would not give us nightmares. We decided to make squid nigiri that is often called by its Japanese squid sushi name ika squid nigiri for my daughter’s school project. Squid is full of calcium, zinc, iron, magnesium and many different B vitamins. It is also a great source of selenium that has been shown to help relieve arthritis. It may also be used to stabilize blood sugar levels and stop migraines. I must admit that I really enjoyed cooking squid with my daughter. Since arrow squid was all that I could find locally, that is what we used for my daughter’s class project. Cook the rice in a rice cooker. Let rice cool for eight minutes. In a bowl, combine the rice vinegar, salt and sugar. Cut the rice vinegar mixture into the rice. Close the lid to the rice cooker and steam for 90 seconds. Use a handheld fan to cool the rice. Flip it over to be sure that it is cooled on both sides. Using your fingers, eviscerate the squid and discard the gallbladder. Peel the skin making sure to remove the cartilage, membrane and skin. Separate the ear from the rest of the body. 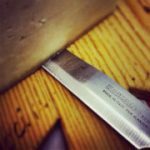 Place a knife in the opening and split open lengthwise. Cut off the tip at the top and the bottom of the body. Cut the squid into 1-inch by 2-inch pieces. Score each piece in a crosshatch pattern. Form a small ball of rice. Place the squid on top. Season with a few drops of lemon juice and a small dash of sea salt. I met my daughter at school with the squid nigiri that she had made. The teacher invited me to stay for her presentation and to see the students reaction when they learned what they were eating. It was a very interesting experience as most students were amazed that they were eating squid like Japanese people do. My daughter did a beautiful job on her oral presentation. During that part, she talked about all the different types of ika food that was eaten in Japan. She explained to her classmates that the term ika simply meant squid. She talked about how squid was a popular street food in Japan where it is often eaten grilled. At the end of her presentation, she handed out a mini-cookbook with several ika shrimp recipes in it. One of the recipes that she shared particularly intrigued both of us. It was for squid stuffed with sushi rice. Since I had purchased too much squid in case we had a disaster, we decided to give it a try for supper that night. Place water in a small pan. Add rice and let sit for 30 minutes. Add the sake and cook using a rice cooker. Pull the tentacles out of the tube of the squid. Use a knife if needed to separate the tentacles from the innards. Cut off the squid’s suction cups. Put the rice vinegar in a pan filled with water. Parboil the tentacles and then plunge them into ice water. Cut the tentacles into 1 inch long segments. 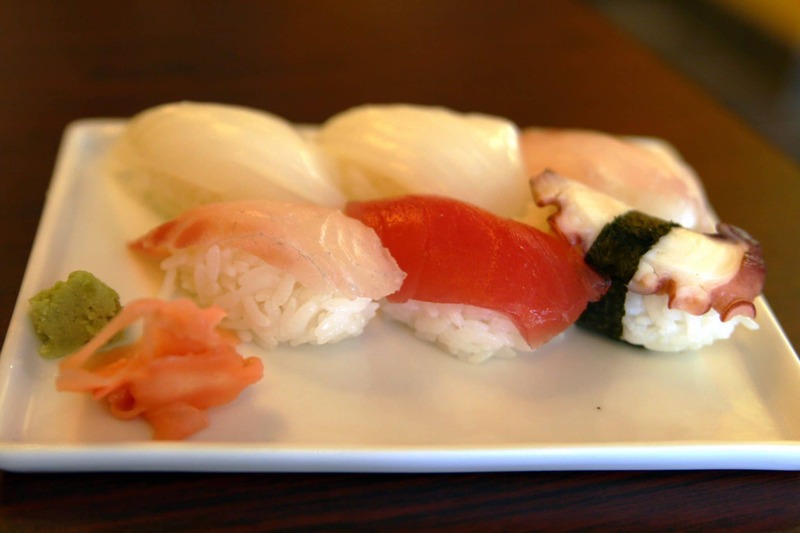 Use a rice cooker to prepare the sushi rice. Let the rice sit for eight minutes. Fold the vinegar mixture into the rice. Let the rice steam in the rice cooker for 90 seconds. Let the rice cool to room temperature. Speed along the process by using a hand fan to fan the rice. Add the soybeans, sesame seeds and squid to the rice. Divide into four equal piles. Put each pile into one squid using toothpicks to the seal the ends when done. Score the squid keeping your lines about 1 inch apart. Garnish with ginger sprouts and serve. Our next adventure into cooking squid was to make hand rolls. 1 tablespoon grated sea salt. Wash the sushi rice under cold running water. Combine the sushi rice and ⅔ cups water. Let sit for 30 minutes. Combine the sushi rice with 1/3 cup water in a saucepan. Bring to a boil. Reduce heat and cover. Let cook for 10 minutes. Let rice rest in pan for 15 minutes. Pour the rice into a large shallow bowl. Cut in the rice seasoning. Fan the rice with a hand fan until cool. Turn the rice over to make sure both sides are cool. Cover the rice with a damp towel. Separate the tentacles and the mantle. Cut off the eyes and the mouth. Remove and discard the fins, innards, bones, in sacs and purple skin. Cut the mantle into strips. Cut the tentacles into sections. Squeeze the juice of the two lemons over the squid pieces. Let sit for 10 minutes. Add the oil to a skillet and warm over low heat. Meanwhile, put the squid, all-purpose flour, pepper and salt in a plastic bag. Shake until well coated. Place the squid in the pan and fry for 90 seconds. Remove from oil and separate into 12 equal piles. Divide the daikon into 12 equal pieces. Lay one-half sheet on a flat surface. Spread 1/12th of the rice on the bottom ⅔ of the nori sheet. Top the rice with mayonnaise and pickles. 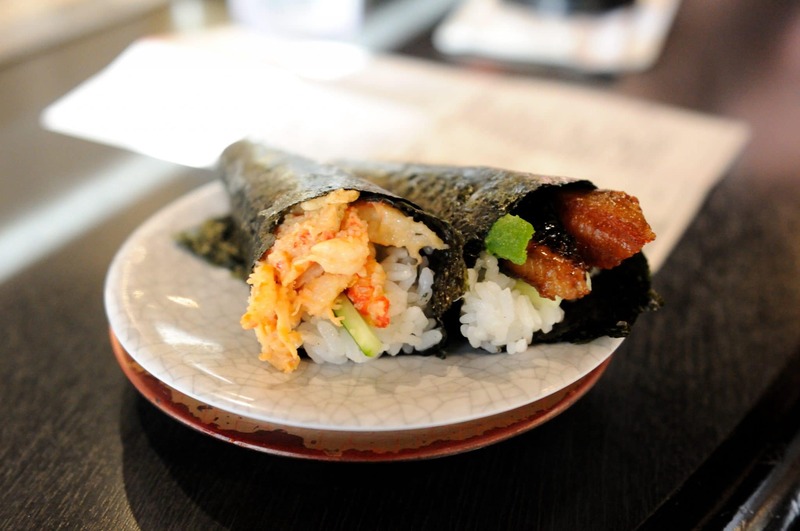 Roll the nori into a cone shape making sure to fold in the bottom corner. Push the seam together and let rest for 10 minutes. Repeat until all the nori is used. While this project started off as a fun class assignment, it has grown into much more. My daughter is now talking about going to Japan as a high school foreign exchange student. While I will definitely miss her, I have vowed to never stand in the way of her gaining a wide range of cultural experiences. She will probably learn to make many types of squid from the Japanese people. At least, until the plane starts taking off.